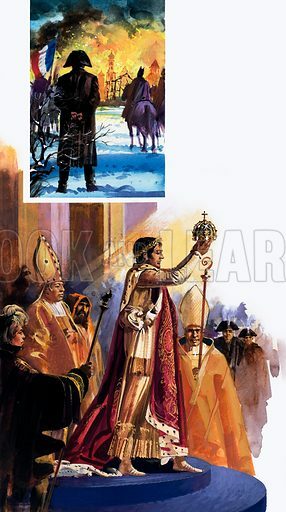 Coronation scene and Napoleon. Original artwork loaned for scanning by the Illustration Art Gallery. Available worldwide for immediate download up to 2,990 x 5,351 pixels.